Beautiful 2D brawls will be landing on Nintendo Switch very soon. QUByte has announced that 99Vidas: Definitive Edition will be launching for Nintendo eShop on 27 November 2018. Those that pre-load the game will even get a 20% discount. Check out its Switch trailer below! 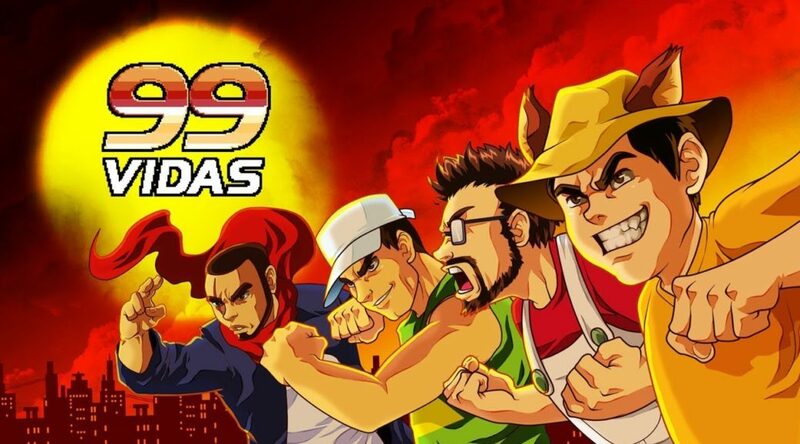 November 13, 2018 – QUByte Interactive is proud to announce that 99Vidas: Definitive Edition is available for Pre-Purchase on the Nintendo eShop now and includes a demo version for those who would like to try the game. 99Vidas: Definitive Edition is coming to Nintendo Switch on November 27, 2018, with all-new exclusive content, including new Enemies, new Stages and new Game Modes, added to all previously released content to make it the ultimate experience. All-new Arcade Mode – Double the size of the regular campaign with no dialogs to interrupt the flow – No Talk, All Action! All-new Remix Mode – Every new play is a different experience! This new mode mix things up by shuffling stages and enemies every time you start a new game.